Hey y’all, welcome to January on the blog. This month we’re going to be talking about mending – because the first part of having a great wardrobe is making sure the things you have fit perfectly. 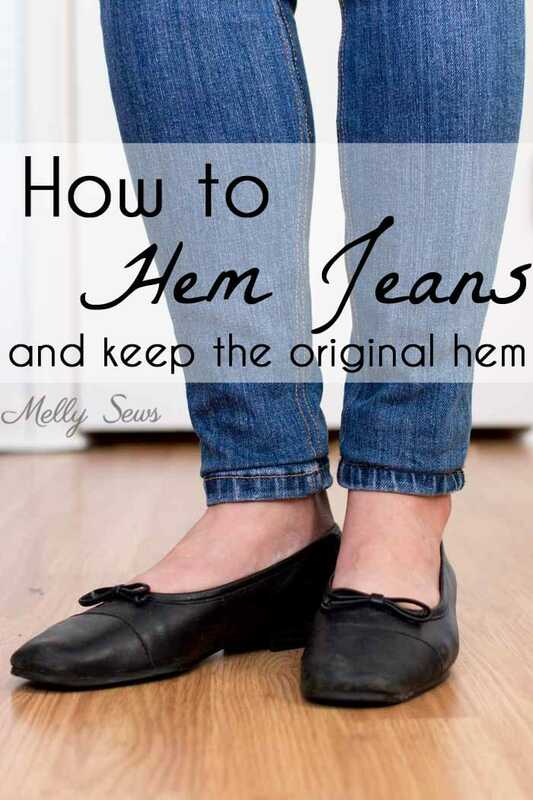 So, if you’ve got short girl probs like me, you’ll like today’s post about how to hem jeans. I’ve got a quick video about the process below, or if it won’t load for some reason you can also watch it on YouTube here. 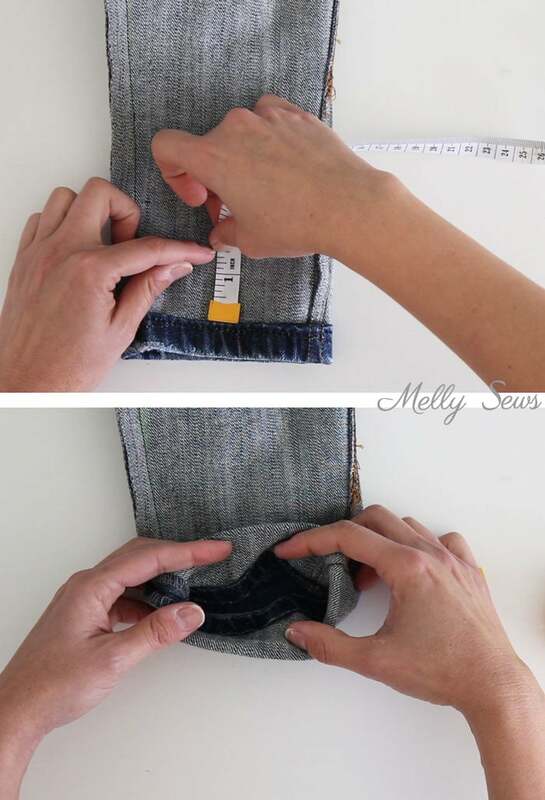 First, cuff the jeans to your desired finished length. Make sure to try standing, sitting, and moving before you settle on the length. And if you can’t get the jeans off and keep the cuff (these were too skinny for me to do that) then make sure to mark where you folded the pants before taking them off. Next, measure the total length of the cuff. In this case I had cuffed it up 3 inches. Now turn the jeans inside out and then measure up from the stitching on the hem 1/2 the amount of your cuff. In this case I’m measuring 1 1/2 inches. Make a mark at that point, and it’s a good idea to do this on the front and back of each leg. 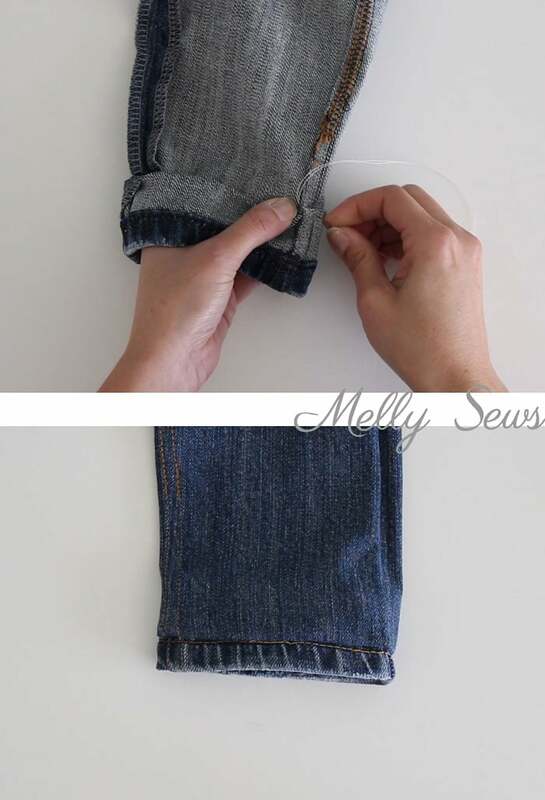 Fold the hem of the jeans to the inside of the leg on the halfway mark you just made. 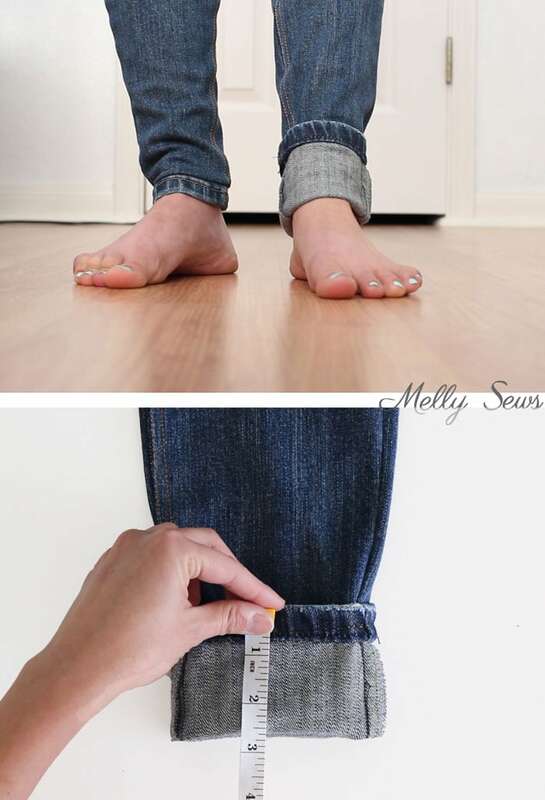 Double check your measurements and maybe even pin the jeans. Make sure that the side seams are matched up perfectly. 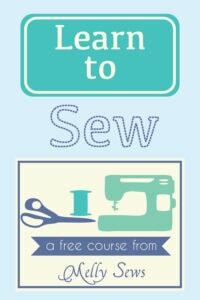 Now, using a zipper foot on your machine, stitch around the cuff as close to the original hem stitching as possible. 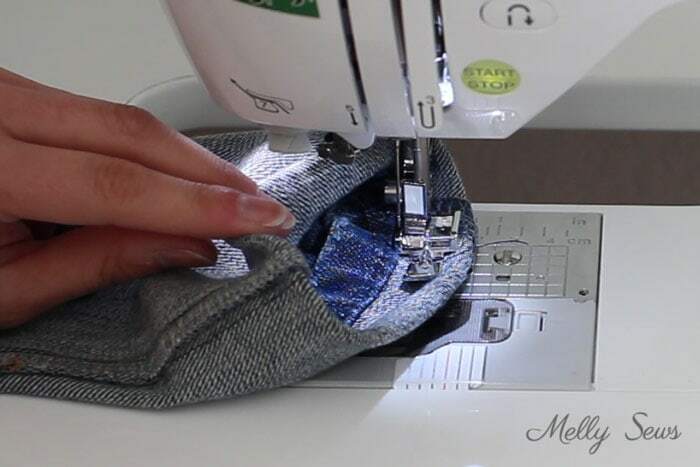 Use a thread color that matches your denim on top and in the bobbin. Press the stitch cuff up on the inside of the jeans. Then hand sew it to the side seams of the jeans. Use strong thread because these stitches will get a lot of pressure on skinny jeans. And this is what they look like when you turn them right side out! Yes, but you’d need to take in the flares at the side seams below the hemline before stitching it, since flares get wider at the bottom. Hi, I did like the idea of this but there is another alternative which works assuming you do not mind raw edges. I just cut them off and then boil wash once to make them fray and slightly fade. 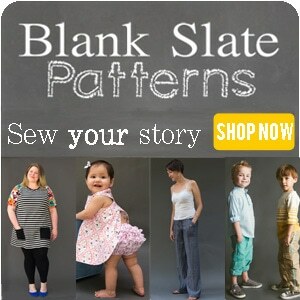 Looks pretty good but will depend on your personal style. I wore them like this back in the 80s when I was a teen/ twenty-something and tight leg jeans were in then as well. I like frayed edges so it works for me. It also does not matter so much that the original distressed edge has gone because you get a new one. Over time I reckon it is better having a frayed edge to a hemmed one. Possibly works the best with flares though rather than with skinny jeans, but then they are coming back again!